Despite the abundance of decidedly indulgent food featured on the blog, believe it or not, we generally eat pretty healthy (healthily? healthfully? I need a copy editor). Whatever. My point is, every once in a while you just have to treat yourself. As I’ve mentioned before, breakfast and brunch are not a huge deal in Buenos Aires. The standard at the local cafés is usually along the lines of some tostadas with queso crema and mermelada, or a pile of medialunas. Cue sad trombone. I say, if you’re going to carb load why not just fully commit? Bring on the pastries. 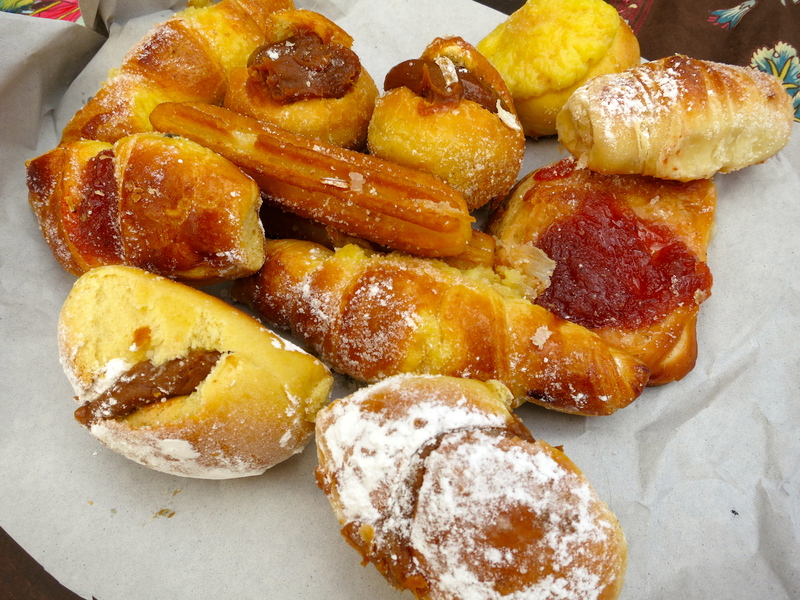 After sampling pastries from a variety of panaderías and confiterías in San Telmo, I’ve finally found my favorite in the barrio. All you people who swear by Del Amanacer…well, you’re just wrong. 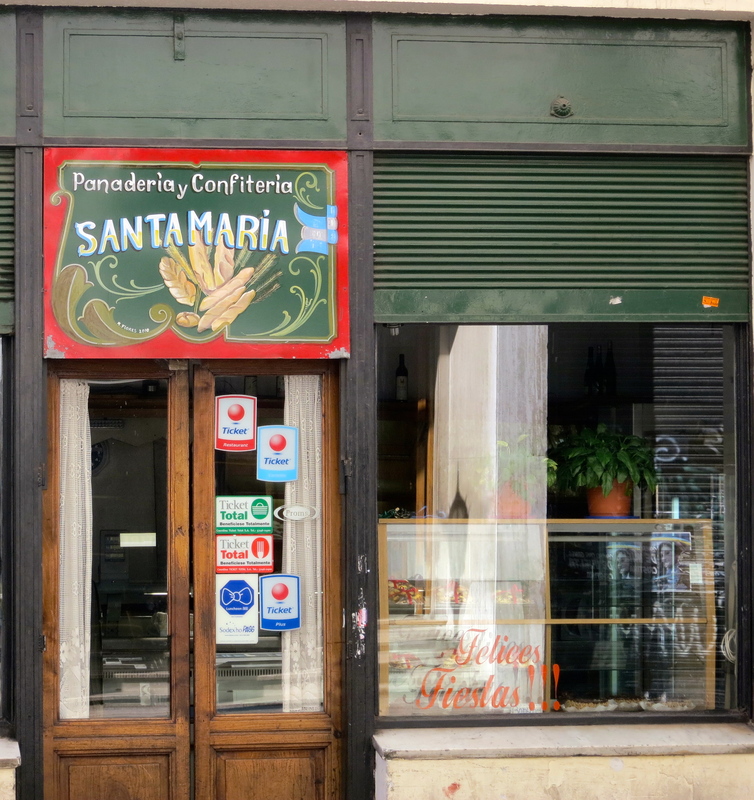 Panadería y Confitería Santa María is an unassuming shop on Defensa with an ever-present display of delicate alfajores in the window…and not a whole lot else. Unless you count the decorations for Christmas, New Year’s and Easter that stay in the window year-round. But hey, no judgement. You’ll be willing to overlook that when you step inside on a weekend morning, look to the left, and find a wall full of pastries of every shape, color and size. 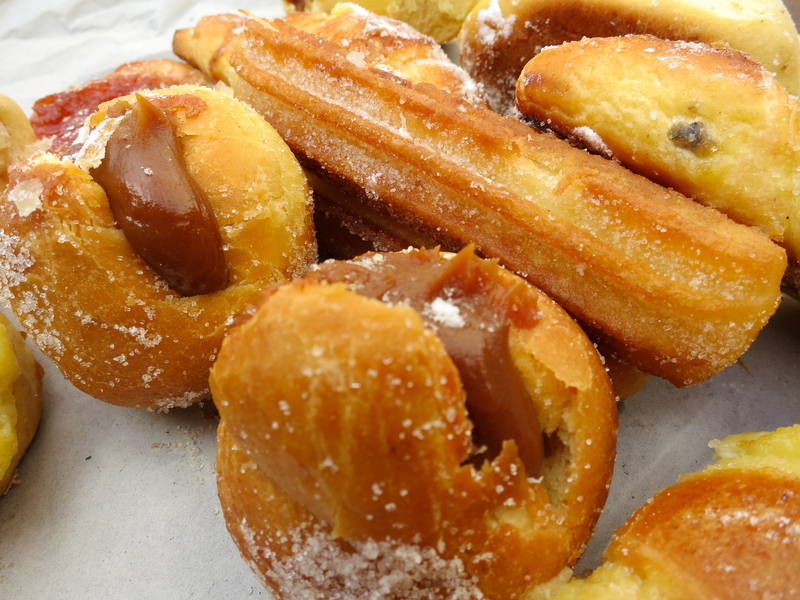 There’s a wide variety of medialunas, a selection of churros, and other breakfast delights stuffed with membrillo, some sort of cheesecake-like topping that I have yet to identify, and of course, dulce de leche. You can select your own mix of a dozen sweet treats for $24 pesos.